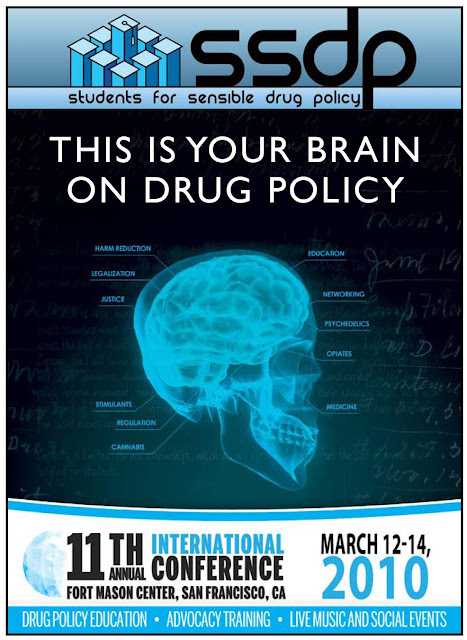 Steve from Transform is speaking at the Students for Sensible Drug Policy (SSDP) conference in San Francisco this Saturday, presenting Transforms latest publication 'After the War on Drugs; Blueprint for Regulation', at a panel discussion titled 'should we legalize all drugs'. The full SSDP conference program is available here (pdf). Immediately following the SSDP event Steve is attending the 2-day RAND International Society for Study of Drug Policy 4th annual conference in Santa Monica, where he is chairing a panel discussion on 'Prevention and other community approaches to drug policy'. Congratulations on your great opportunity to speak to a large audience of students on drug policy. I wish that I was able to attend both the talk and the conference, but being situated in Florida prevents that at the time. Good luck and congratulations again. Tell them the answer is absolutely not, no one should legalise drugs. If drugs were free to do what they wanted they would certainly start abusing this freedom.